If you require car repairs in Maulden and the surrounding areas, then look no further than the professionals here at Maulden Garage Ltd. With over 35 years of experience in the motor industry we are a family-run business and are all highly professional car enthusiasts. We offer all types of vehicle maintenance and also specialise in classic,modern and vintage vehicles. We also prepare classic rally cars and offer an on event service package, so to find out more about what we can do for you please feel free to get in touch. All of the services we provide are highly affordable with all work undertaken being carried out by our team of qualified professionals. We pride ourselves on our quality workmanship and reliability and even provide you with a courtesy car for your convenience, so if your vehicle is in need of a service give us a call today. 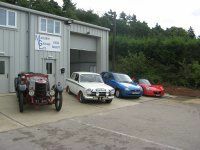 We are based in Maulden and provide our services throughout Bedfordshire and nationwide for classic and rally cars. 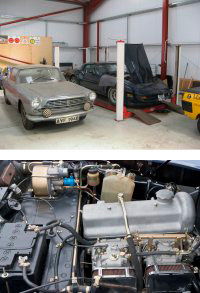 We are a very well-known company and over the years have become renowned for our passion for classic cars and our professional and reliable service so if you require classic car repairs Maulden Garage Ltd is the company for you. To enquire about any of the services we offer please don't hesitate to get in touch. You can give us a call on 01525 862 877, send a query via the "Contact Us" page or why not pay us a visit in person? We always offer a service of the highest quality to each and every one of our customers so for car repairs in Mid Bedfordshire look no further than Maulden Garage Ltd!